Before trying to predict what might happen in the remaining 10 months of 2019, it is important to remember what happened in Portugal in recent years. According to the National Statistics Institute (INE), between 2015 and 2018, the value of new and used real estate rose by 24% and 45%, respectively. The increases in real estate prices that have occurred in recent years are nothing more than the translation of the following reality: the supply of houses in Portugal has not been able to cope with the current demand. To better understand what generated this imbalance, it is necessary to go back to 2014. Portugal said goodbye to the Troika (European Commission, European Central Bank and International Monetary Fund), interest rates reached historical lows (double effect: greater incentive to credit, less attractive savings solutions), banks started lending money again, and Portugal revealed itself to the world as a tourist destination of choice. By the end of 2012 the new law on urban renting had come into force, in 2013 the first hundred “Golden Visas” were issued, and the Non-Resident program was beginning to gain expression. Conclusion: the number of people, both Portuguese and foreigners, wanting to buy a house in Portugal has skyrocketed. What about the available inventory? Construction came to a halt. Between 2010 and 2014, nearly 40,000 construction companies went bankrupt. Those who survived focused on emerging markets and the last sector where the banks wanted to inject money was the one that alone monopolized bad credit to companies. Architects emigrated and, to have a sense of the faith the country put in the industry, in 2015 10 Civil Engineering graduations did not receive a single placement. At the end of November, Moody’s predicted that homes in Portugal would have a value increase between 7% and 8% by 2020. At the same time, the INE recorded a 16% variation in housing prices, compared to the beginning of 2016. But with an additional figure: in the same period, house prices had risen 47% and 34% respectively in Lisbon and Porto. These numbers suggest that it may make little sense not to differentiate the two largest cities in the country. If the current relationship between real estate price appreciation in the two major cities and the rest of the country remains (and there does not seem to be any reason to believe that it will change in the short term), it follows that a Moody’s study on Lisbon or Porto would present price appreciation projections of two digits. And this is the reason why Lisbon’s historic centre may have witnessed, in recent years, almost 100% appreciations between two transactions of the same property. Lisbon and Porto are in the international market. With few exceptions, the rest of the country not yet. The potential rise in interest rates (since there does not seem to be much margin for them to go down) may result in different scenarios. Those who have chosen the real estate market to invest (or were considering doing so) may, in the face of a medium- to long-term interest rate hike, prefer to place their money in term deposits, savings certificates, retirement savings plans or bonds. If this were to happen, there would be a change in the demand-supply ratio. Another scenario: if benchmark rates go up 1% or 2%, what will be the impact on the performance of those who have taken out loans in the last 5 years? Those who think that the only trend that the real estate market may have to offer is stagnation or falling prices may be proven wrong. When in June 2016, I read that the Lisbon City Council (CML) wanted to create a Creative and Entrepreneurial HUB in the Beato district, I remembered what I had read in September 2010: António Costa (currently prime minister, at the time President of CML) would move his office to the Largo do Intendente. The Intendente district was known at the time for drug trafficking and prostitution. Today it fits perfectly into the definition of a cool neighbourhood. In the same area where António Costa set up his office, some developments have practically sold out units at € 5,000 / square meter. Meanwhile, Mercedes-Benz has already confirmed that it will install its digital innovation centre in Beato, in the former facilities of Military Maintenance. By this time, the German multinational will already have hired over 100 programmers who will be based there as of this year. If half of them decide to stay in the neighbourhood, I believe that the price of rents will rise (and soon, the perception that we have about the value of houses will also change). If the other half who choose to live in other parts of the city end up having lunch, shopping or cutting their hair there, the neighbourhood will be thankful. And will transform itself. After all, around 700 people are expected to work there, and the HUB will attract many more. If the overvaluation of previously owned real estate is due to the shortage of inventory in response to the demand, what can we expect this year? That the number of new developments entering the market will counteract this tendency. And if, on the one hand, the value increase of the square meter is expected to slow down or stagnate in most of the city, it is entirely possible that less sought-after areas will know a rise in house prices. Are you thinking of selling your home? If Mercedes is not planting a “something or the other Hub” in front of your window, it may be a suitable timing. The most prudent expectation is that, in general, most of the used houses will reach the end of 2019 not being worth more than they are today. On the other hand: the importance that the country occupies in the international media space and the appreciation of the Portugal brand are achievements that will hardly be lost. I remember the last time, during my holidays, that I had to explain to a non-European that Portugal is an independent country. This happened over 20 years ago, before Portugal organized Expo 98, José Saramago was awarded the Nobel Prize for Literature, the country hosted Euro 2004, José Mourinho described himself as “the special one” or Cristiano Ronaldo became as mediatic as Madonna (long before she moved here). Are you thinking of buying? The more information you gather, the less you will depend on the opinion of others. And choose well who you ask what you do not know. The differences between buying a house to live in or buying to invest are less than you think. The pleasant areas to live in are the same where it is worth investing in because, precisely, people will always want to live there. Now close your eyes and think about the Praça de Espanha. What images or sensations come to mind? Cars, noise and an arch on the lawn? Now, look at the “urban oasis” project that the media talked about last month. How many more euros per square meter would you be willing to pay to live nearby? And Ajuda? Have you noticed the 21 million euros building intervention on the National Palace and part of the adjacent public space? Think about the impact this build will have on the neighbourhood. Do you really believe it will remain the same? It won’t. Surely not. Vinicius de Moraes’ “very funny house”, to which some of the best-known verses of Brazilian children’s literature were dedicated, is more than the naïve expression of a puerile imagination. The story of that poem, published as a song in the year of the death of its composer, is very peculiar. Its singularity has a name: Casapueblo. Vinicius de Moraes was not only a poet and composer (or a singer and journalist). This Carioca was also a diplomat until January 1968 (Vinicius learned of his removal in Lisbon, the same day he performed alongside Chico Buarque at the Teatro Villaret). While performing consular duties in Montevideo, Vinicius de Moraes lived closely with the sculptor and painter Carlos Páez Vilaró. The song is about a real estate adventure of this Uruguayan plastic artist. Vilaró first arrived in Punta Ballena in 1958 and fell in love with that deserted location, 15 km from Punta del Este (nowadays one of the most popular beach resorts in South America). He found that there were 40 hectares for sale and – after creating La Ballena S.A. with his brother and friends – chose lot 22, with 4 873,5 m2. He started by rebuilding a small shack used to house old doors, windows and other materials for the construction work. Later, with the help of friends and fishermen, he built La Pionera, his first atelier made of wood. Years later the Uruguayan began to cover the house with cement and to model it with his own hands as if it were a sculpture. Drawing inspiration from the lines of bread ovens, Mediterranean architecture and female shapes, the artist avoids straight lines and evokes the rock houses of Cappadocia or the pictures on Santorini postcards. Over the years, Vilaró kept embedding objects he brought from his travels, and the word was that the house grew – with new domes, corridors and balconies – as more friends were announced to spend a new season there. What, in a sense, might have been more than a foretaste of its current status as a hotel and museum. Next February 24th will be five years since Carlos Páez Vilaró’s death. Where? At Casapueblo, “the house” of Vinicius. The house where he would have scribbled and sung those verses for the first time to the children of his Uruguayan friend. Real estate is undoubtedly one of the most important legacies of a country. If you have any doubts, please go to Google Images and type “Uruguay”. Incredible, right? How many real estate ventures, with only half a century, have become the greatest symbol of an entire nation? 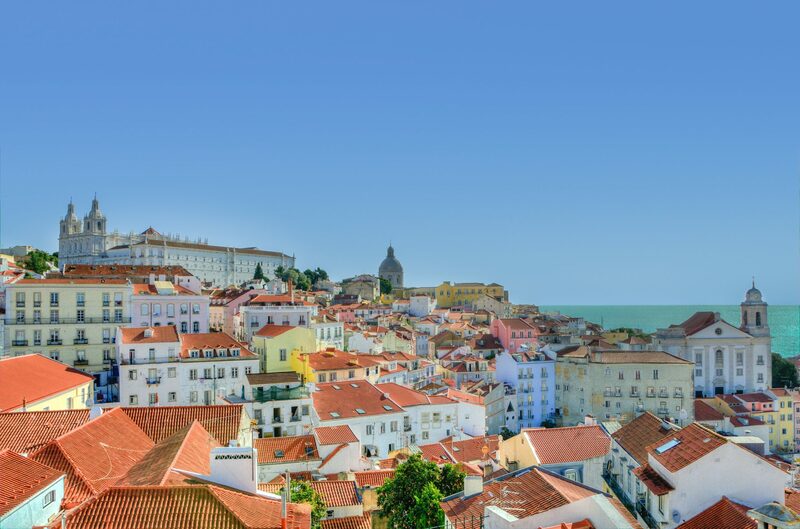 Everything you need to know about Lisbon and its urban development.